Heat oven to 350°F. 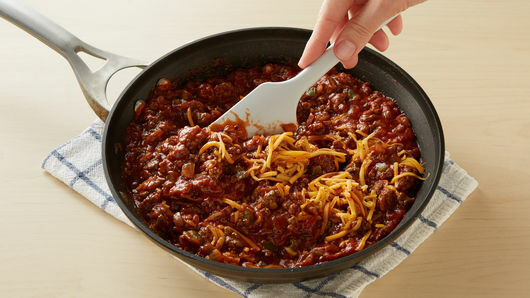 In 10-inch nonstick skillet, cook beef, onion and bell pepper over medium-high heat 6 to 8 minutes, stirring frequently, until beef is no longer pink and vegetables are tender; drain. Stir in sloppy joe sauce and pepper flakes. Heat to simmering over medium heat, stirring frequently. Remove from heat; stir in cheese until melted. 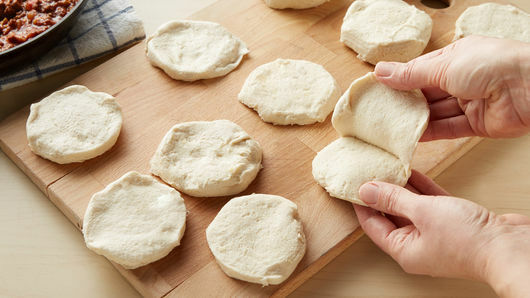 Separate dough into 8 biscuits; separate each biscuit into 2 layers, making a total of 16 biscuit rounds. 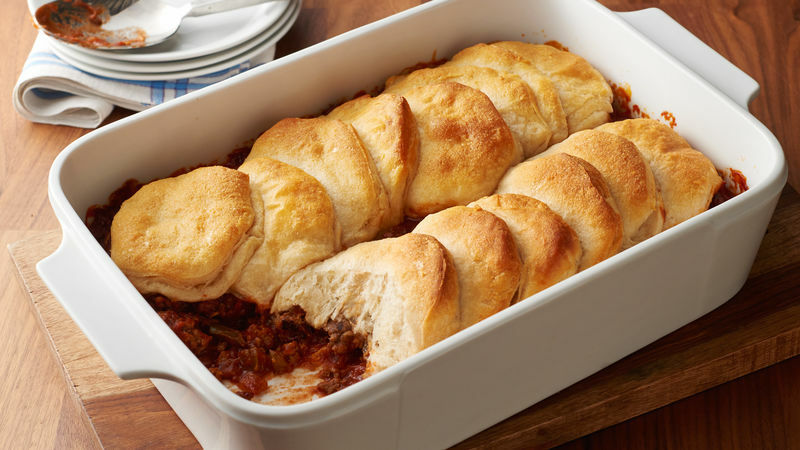 Transfer hot beef mixture into ungreased 13x9-inch (3-quart) glass baking dish. Arrange biscuit dough rounds on top of beef mixture, slightly overlapping. Bake 23 to 27 minutes or until biscuits are thoroughly baked and golden brown. 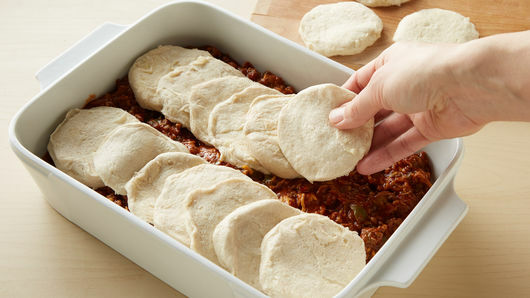 Look for canned sloppy joe sauce in the grocery store canned tomato and pizza sauce aisle. Not a fan of crushed red pepper flakes? Substitute with 1/4 teaspoon ground black pepper.